While it is not a Monument-al album, Phronesis shows that the band can consistently deliver quality work, even if it sacrifices branching out and experimenting. 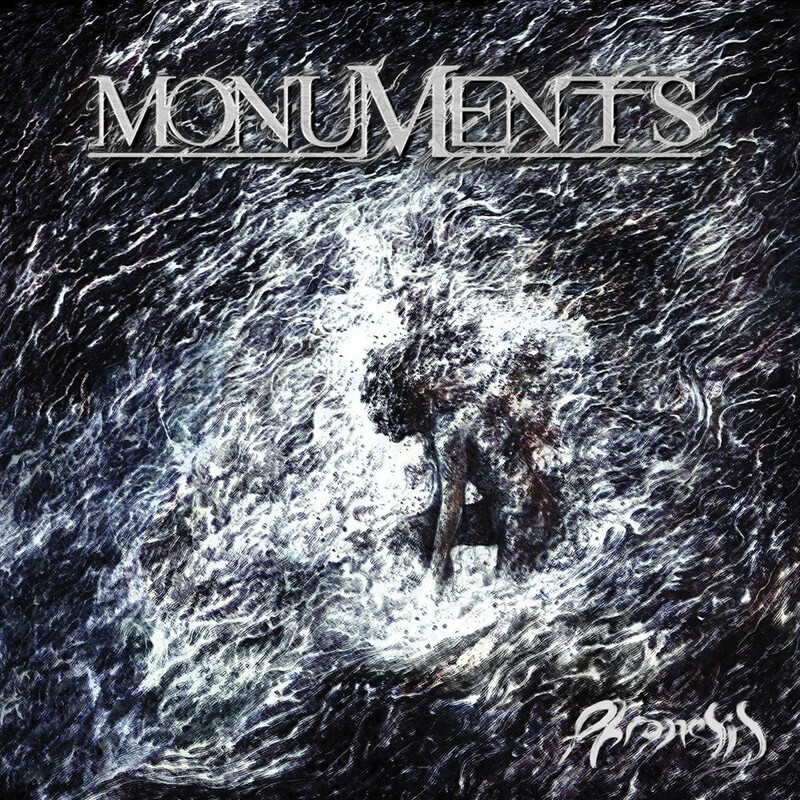 Monuments are one of the two bands to come out of the falling-out of British metal band Fellsilent (the other being prog giants Tesseract). With their newest album Phronesis, they have fallen away from their earlier, more progressive sound found on their first release, Gnosis, in exchange for a more mundane, anticipated sound. They have had a turbulent history, with many line–up changes in their earlier days. Even with the help of some very large names in the scene, such as Josh Travis (currently in Emmure) and Anup Sastry (multiple projects as well as a studio drummer/engineer), Monuments are still trying to prove that they are more than the sum of their parts. Starting the album off with “A.W.O.L.”, the standard metalcore intro peeks its head in the form of a standard ominous creeping guitar which slowly buids into a standard breakdown. Frontman Chris Barretto (of The HAARP Machine and Periphery fame) shows us his vocal range throughout the song, but never really expanding from their previous album. “A.W.O.L.” sets the tone for the rest of album. There are some very catchy choruses and riffs throughout, such as those in “Mirror Image” and “Celeste”. However, Monuments still fall victim to clichéd lyrics on multiple tracks. I am all for using deeper lyrics, but in order to justify them they have to either help express the need for truly thought-provoking (ie. Thrice) or help drive the purpose of the album as a whole (ie. The Contortionist). Trying to have deep lyrics just for the sake of having them is not helping kick the stigma of metalcore, nor is it helping push Monuments into new territory. The real tragedy of this whole album has to be its final track, “The Watch”. It starts off like any of their other tracks, and does an efficient job of staying true to a Monuments album, but isn’t until its outro begins that I honestly thought I might just give up on Phronesis. Beginning with a basic, boring pre-breakdown riff, Barretto then attempts a high-pitched screech, which is only worsened by the most insufferable, ‘child’s first breakdown’ riff I think I have ever heard. Monuments should be ashamed that such mediocrity made it to the final cut. It ultimately ruins one of the most important and lasting effects an album has on the listener. While it means ‘a form of wisdom, on learning to make good judgement on different situations based on experience‘ (or so they said in their album announcement on Facebook), Phronesis has shown a lack of wisdom from Monuments by not ensuring that their sound would not stagnate. With over four years since their last album The Amanuensis, there has been more than enough time to hone in on their sound and style. It may not be groundbreaking work, or taking the genre to new places, but it still is a solid piece of work that is worthy of your time. Is this going to be anyone’s AOTY? That is probably unlikely. However, there is opportunity for Phronesis to be a welcome addition to the metalcore genre, even if it is a little stale in its predictability and deliverance. Previous PostStreet Sects - "The Kicking Mule"